The sun is shining, the birds are singing and love is in the air! Ok, love in my belly that is! he he Since the season of love will be here in a few weeks, I thought I would practice up for the big day. 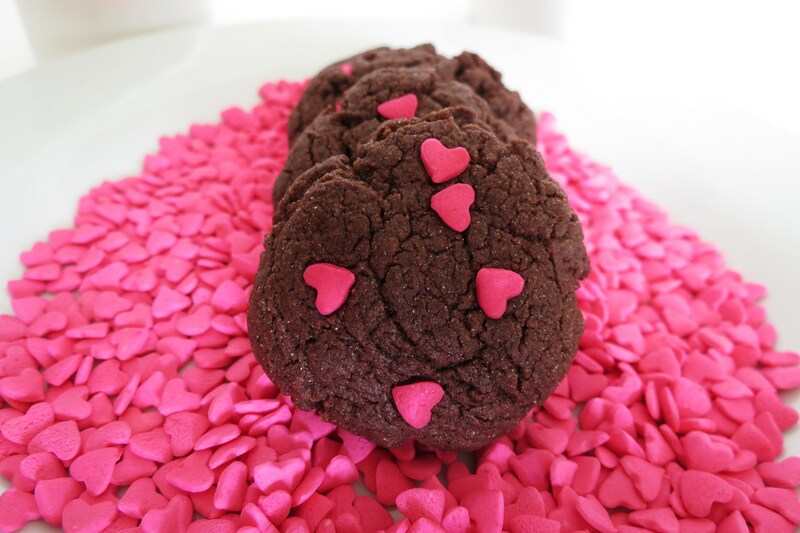 Will I want a decadent chocolate dessert, a romantic dinner, or these cookies? I’m choosing these cookies! In all actuality we really don’t celebrate Valentine’s Day, my Husband says it’s just a Hallmark holiday that there shouldn’t be a certain day to celebrate love. Well, sweetie I’m waiting for that day, and not our wedding anniversary, hint, hint, wink, wink! These are unbelievably easy to make. Wait till I tell you the ingredients, 4 to be exact, you’ll be like What? 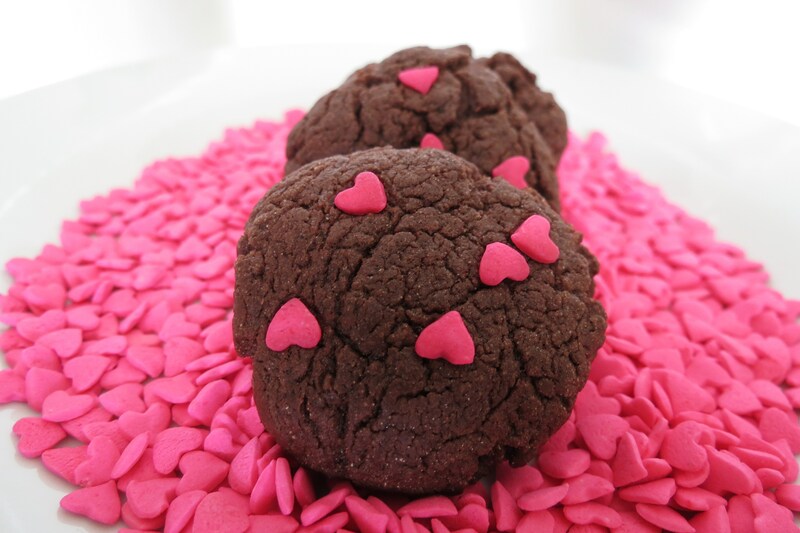 Oh, and under 50 calories a cookie, double what! Did I mention, these are chocolaty, cake like cookie? Soft center and a slight chewy outer. 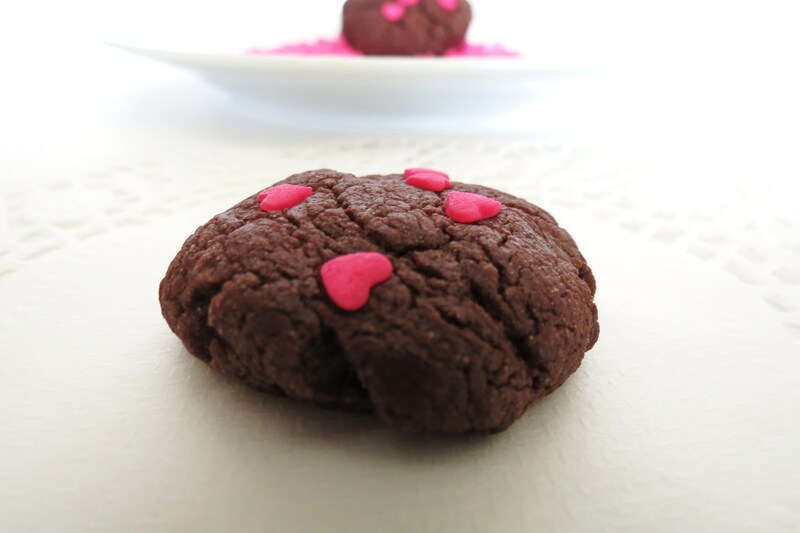 Like a brownie cookie! Your dying to know aren’t you! 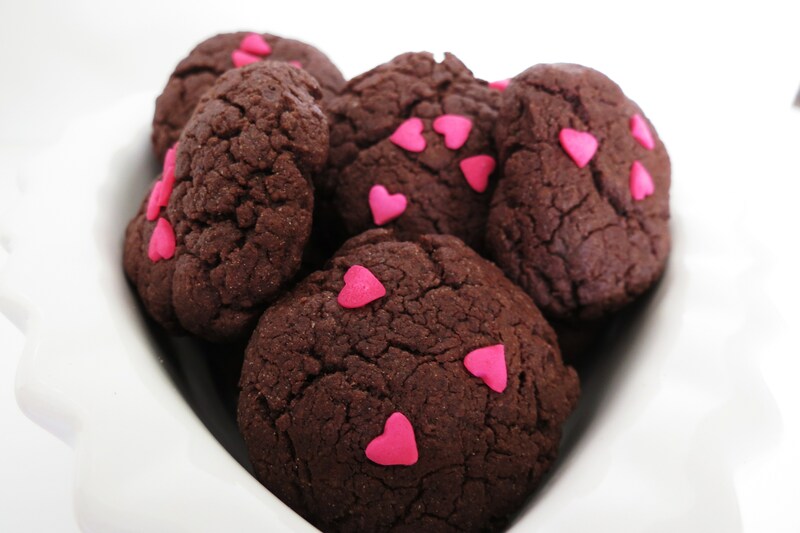 These are made with Devils Food Cake box mix, 1 egg, 1/4 cup of canola oil and 1/4 cup of water. Amazing huh? Even I was impressed and if you give these to a loved one, they’ll be impressed to!! Now there’s nothing healthy about them except there low calorie and an excellent little treat!! I really enjoy these! I’ll be making these more often. I made a batch, cleaned the dishes and everything in less them 30 minutes! Mix all the ingredients together, but the sprinkles. Roll the dough into about a 1″ ball and flatten a little bit with your palm. Place about two inches apart on a parchment line baking sheet. Press sprinkles into the cookies. Bake for 10 minutes or until bottom is very lightly brown. Wow no sugar, nice! I didn’t even realize that when I was calculating the calorie. A great guilt free treat! Feel free to eat more then one! I did! 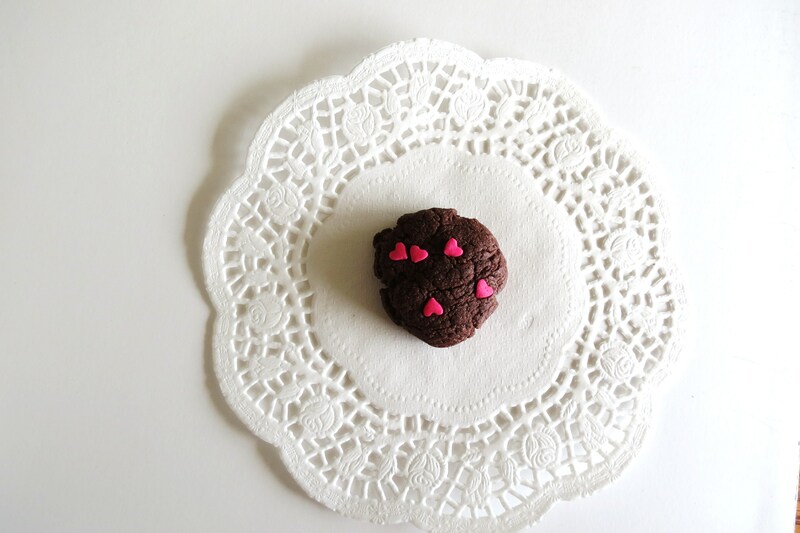 I hope you liked my little chocolate cookies. I made quite a few goodies this weekend and I can’t wait to share them with you! Well my dinner’s almost done, so I must be going! Have a great week!! Ok, one more picture, just because I think there so pretty!! 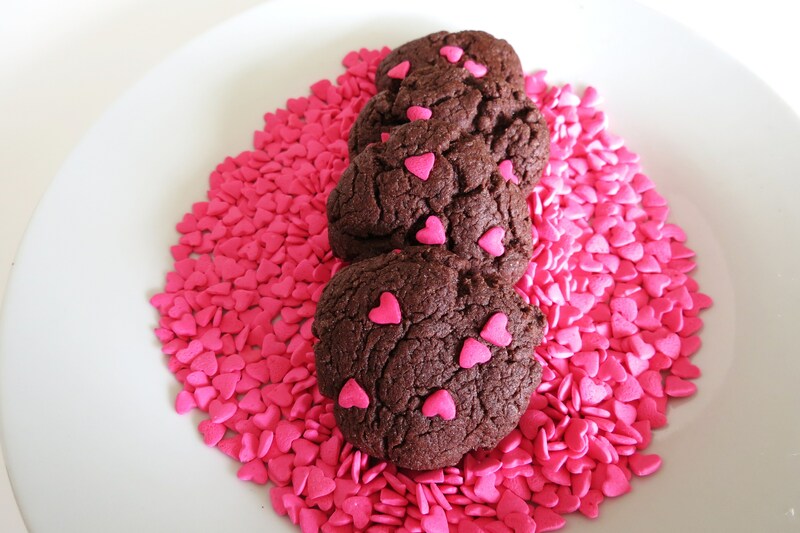 I think I’d be more of a fan of V-day if I had a valentine to give me chocolate and to feed to cookies too. But alas, it’ll likely just be me and a batch of these. And tequila. Lol. These sound so wonderful. A perfect way to celebrate my love affair with chocolate! Those little pink hearts make them sooo pretty! 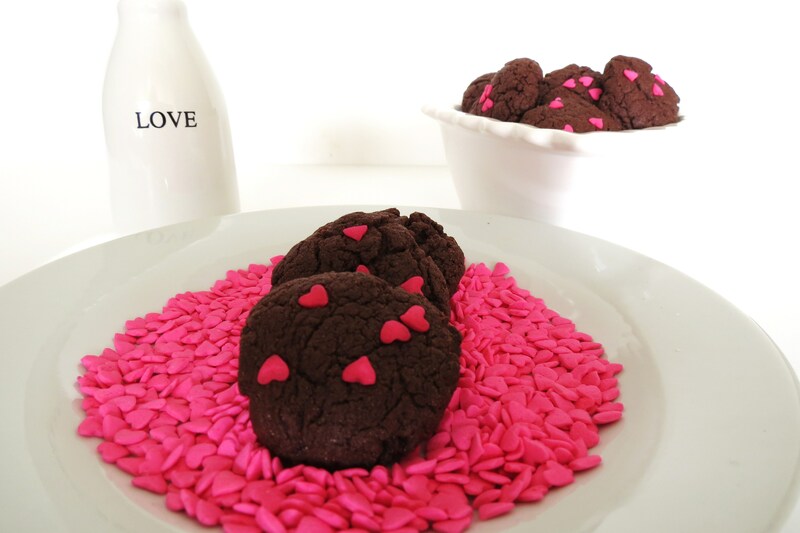 I love the bright pink hearts on these cookies. 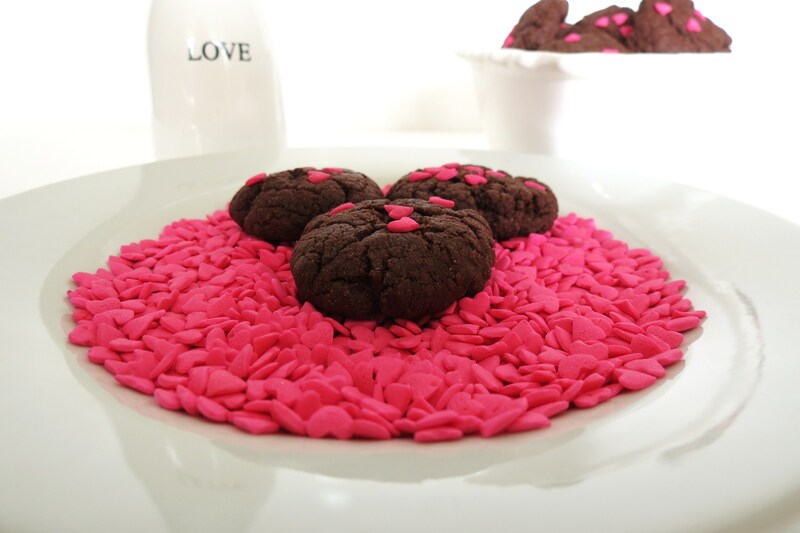 These would be a perfect treat for my daughter’s Valentine’s Day Party! Oh you should make them! There a hit at work and with sprinkles on top the kids will love them and there really quick to make, which is a bonus! I love good simple recipes like this that feel like a splurge but aren’t that bad for you. Great recipe! 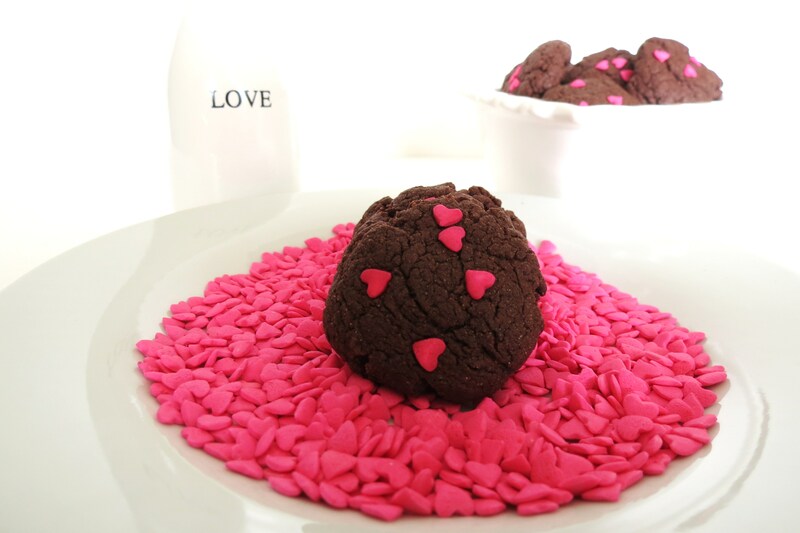 These are SO pretty and I know you’ll have a GREAT Valentines day with these! My husband is the same…”commercial holiday” and all that, good thing his birthday is 4 days later so we get to go out for dinner or eat after the kids are in bed anyway! These are so pretty, and I love your photos! Thank you I think there the best photos I have taken so far. Taking picture of food is more difficult then it seems! I’m still trying to get the hang of things! I think for V-day, I’ll still plan something special with Hubby, he’ll appreciate the thought! 🙂 Enjoy celebrating his birthday!! Aww, those are so pretty and cute! You made cake mix cookies! And they turned out beautifully! YUM! I’m hooked to these cookies, there so easy and quick! I want to try your strawberry ones!! Looks Great! YUM! Thanks for linking up to the Tuesday Talent Show! I hope to see you again next Tuesday!